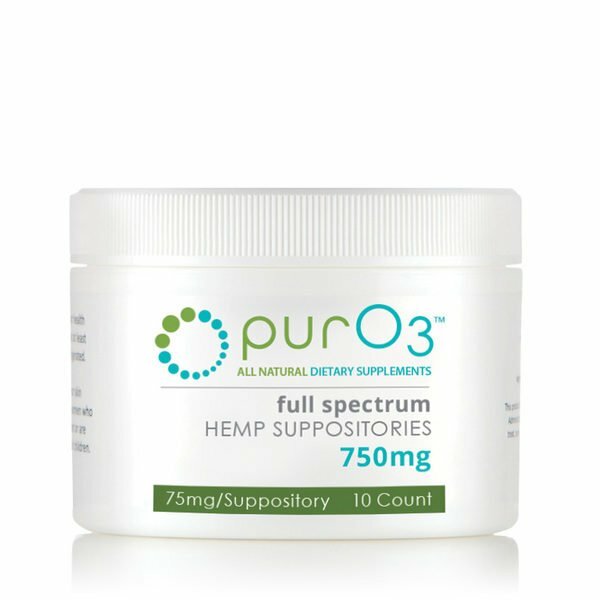 PurO3 Full Spectrum Hemp Suppositories combines three organic and rich ingredients to create a simple, powerful, and high quality hemp suppository. Hemp oil is on the main stage as studies and personal stories continue to show the amazing benefits of this natural plant compound and the phytonutrients it contains. The hemp oil is extracted from industrial hemp grown in Colorado, using the ethanol distillation method. 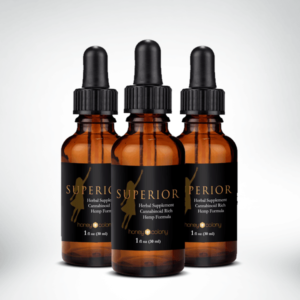 This results in a high-quality form of full spectrum hemp extract that is non-psychoactive (no TCH) but still contains all of the phytonutrient compounds and terpenes that help your body heal naturally. Hemp Oil can degrade considerably when taken orally unless you take a liposomal formula like our own Superior formula or else you are not enjoying the full impact. Hemp Oil can work with our own Endocannabinoid System and can balance, bring clarity, enhance mood, and tackles numerous ailments; all benefits of marijuana without the psychoactive properties. When taken rectally, hemp suppositories provide the same full spectrum health benefits at a more rapid rate. Rectal absorption of hemp has greater bioavailability compared to oral absorption. This allows the health benefits of hemp to rapidly enter cells while limiting any breakdown and waste of the hemp product. Many health products lose some of their active ingredients due to the digestive system breaking them down before they can reach the liver or small intestine. With hemp suppositories, the key compounds enter the intestinal membranes and go directly into the bloodstream. This cells rapidly increases cells antioxidant capacity, removes toxins, and increases cell vitality. Hemp suppositories can definitely be included as part of the treatment for rectal fissures, fistulas and hemorrhoids, prostate and gynecological illnesses, and metastasis and similar malignancies. We offer full-spectrum hemp suppositories based on the amount of full-spectrum hemp included in each jar. The 750mg jar has ten hemp suppositories which each contain 75mg of hemp extract. The 1500mg jar has ten hemp suppositories that contain 150mg of hemp extract in each suppository. Consult your healthcare practitioner about which strength may be right for you. 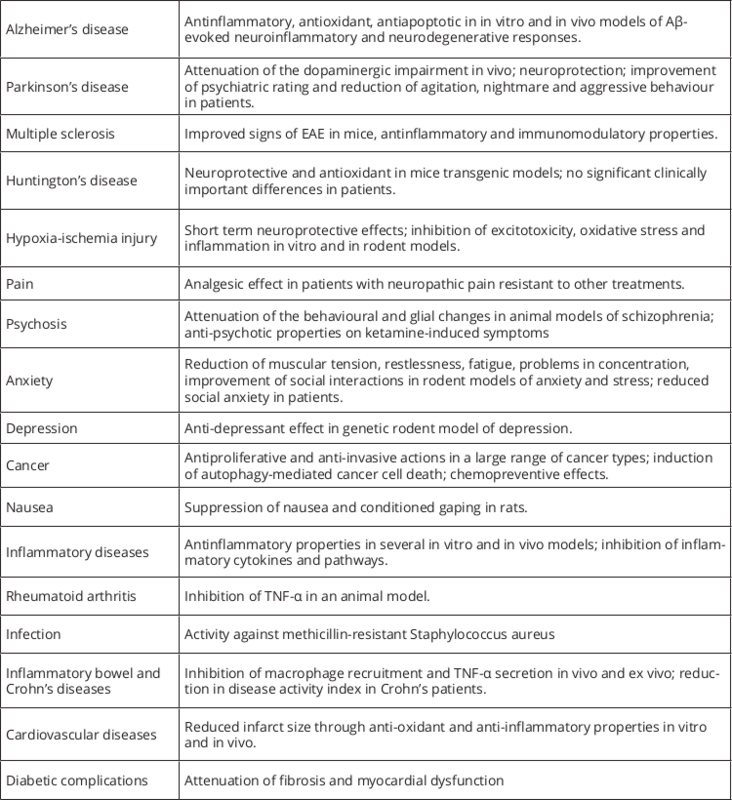 As with any new therapy or exercise, it is often best to start low and increase over time. 750mg Jar: 75mg of full spectrum hemp extract per suppository – 25mg of full spectrum hemp extract and 50mg of hemp extract isolate. With that said you may need to use the restroom after use.But do try to keep it inside of you for atleat 30 minutes if possible. Storage: Store your ozone suppositories in the fridge so they are easier to use and will last longer. Place the jar in the refrigerator for at least an hour before first use. Great for travel! People’s experiences tend to differ. We have a lot of customers who use the product for bowel issues including IBS.